Long, long ago, two alien races fought a war of extinction. All that is left of either of them are the berserkers: vast, thinking, spacefaring, killer machines whose sole purpose is to destroy all living things. For the first time in all of their history, they have met a life form that has a chance of stopping them. In the cold reaches of space, the berserkers seize a floating laboratory full of human germ-plasm being stored for retrieval and growth in a future colonization project. The ship contains millions of human lives-but why are they not destroying them? Will the human pursuers manage to find the missing lab, defeat the berserkers, and save the nascent lives? 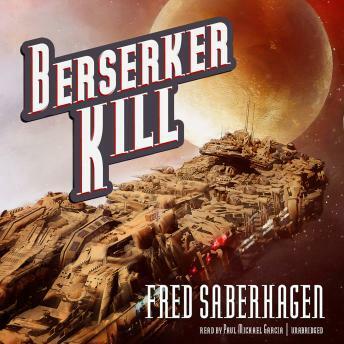 This is a major Berserker novel-one of Saberhagen's finest-with one hell of a surprise up its sleeve.